I’m always looking for quick tips to make my gardening chores easier. 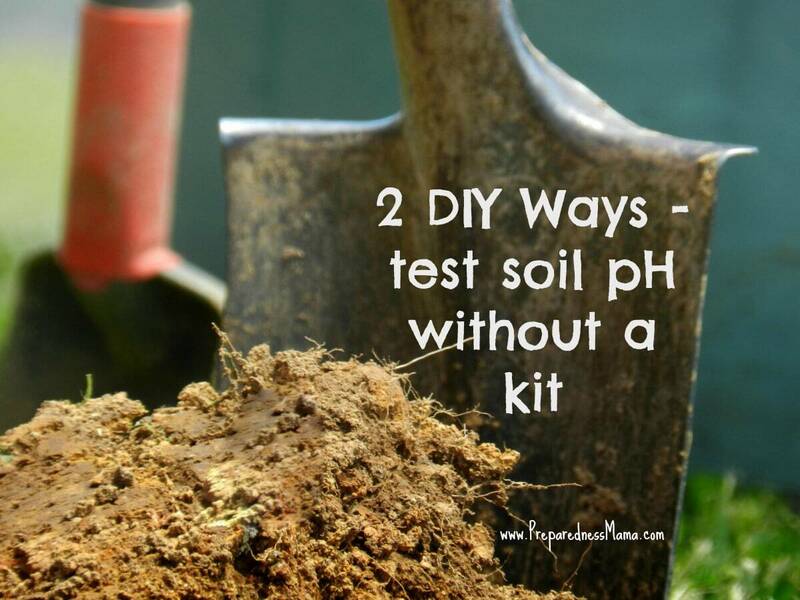 I ran across a couple of gardening hacks about testing your soil pH without a kit and I thought I would try them out and see what I need to do with my garden. Let’s do a little kitchen chemistry! Why Do You Care if Your Soil Is Alkaline or Acidic? Knowing your soil pH is the key to understanding if essential minerals will be available to the roots of your plants. You can lower the alkalinity of your soil by adding organic materials like pine needles, peat moss, and composted leaves. You should always make small changes, over time -so make your soil amendments and wait for it to work before making any more. Test your garden soil ph without a soil test kit. Collect 1 cup of soil from different parts of your garden and put 2 spoonfuls into separate containers. Add 1/2 cup of vinegar to the soil. If it fizzes, you have alkaline soil, with a pH between 7 and 8. If it doesn’t fizz after doing the vinegar test, then add distilled water to the other container until 2 teaspoons of soil are muddy. Add 1/2 cup baking soda. If it fizzes you have acidic soil, most likely with a pH between 5 and 6. If your soil doesn’t react at all it is neutral with a pH of 7 and you are very lucky! This test was fun to do. After I added the vinegar there was no reaction in my bowl and I thought my kitchen science experiment wouldn’t work. Then I added distilled water to another bowl of soil and poured on just a sprinkling of baking soda. Instant fizz! So much fizz that I could see it immediately and hear it working. There’s no doubt – I have acidic soil in my new garden. Measure 2 cups of distilled water into a saucepan. Cut up and add 1 cup of red cabbage. Simmer for 5 minutes. Remove from heat and allow it to sit for up to 30 minutes. Strain off the liquid – which will be purple/blue. This will have a neutral pH of 7. To test: add 2 teaspoons of garden soil to a jar and a few inches of cabbage water. Stir and wait for 30 minutes. Check the color. If it turns pink, your soil is acidic. If it is blue/green, your soil is alkaline. Knowing the pH of your soil will help your plants grow by absorbing nutrients better from the soil. Their ability to do this depends on the nature of the soil and its combination of sand, silt, clay, and organic matter. The makeup of soil (soil texture) and its acidity (pH) determine the extent to which nutrients are available to plants. Use these 2 ways to test soil pH and have a great garden this year. I saved this back in 2013 from somewhere, probably from one of the life hacks articles. Yes, thank you so much edsl48. There is no western style capitalism and democracy. Just increased greed and more rules from a representative agency. I love natural remedies. JUst did a baking soda/vinegar flush of a bunch of drains. Stuff the drain with a half cup or so of BS, add a couple cups of vinegar and chase it down with a pot of hot water from the stove. If really stuck use a plunger too. Unclogs drains safely and cheap. It’s winter time in my part of the world. I’m doing some research on how to improve soil structure by making amendments to it. My soil is (unfortunately) mostly clay. Which means it needs some help getting air to it and to release some of the water it wants to retain. The goal is to provide a better environment for the roots of the plants. After all, you are putting all your efforts into the growing process. Taking the time now, in the off season, to improve soil structure will benefit your garden during the growing season. Sand, Silt, Clay…Which are you? This simple test, the mason jar soil test, is the perfect way to begin understanding your soil. It couldn’t be simpler. Just take a sampling of your soil from several different areas of the garden. Mix it together and fill half of a canning jar. Next, add an equal amount of tap water, cap and shake until the soil is suspended in the water. Then let is sit, undisturbed for a few hours. Your soil sample will separate into layers. Which Amendments Should You Make? Now that you know what kind of soil you have you can use these recommendations. Lime: raises the pH of acid soil and helps loosen clay soil. Bark, ground: made from various tree barks. Improves soil structure. Sand, course: improves drainage in clay soil. Leaf mold: decomposed leaves that add nutrients and structure to soil. Peat Moss: Conditioner that adds aeration to the soil. Peat moss: conditioner that helps soil retain water. Manure: best if composted, it’s a good conditioner. Having a great garden is all about planning – and soil. No matter what kind of soil structure you currently have, by making some amendments this winter you can improve your soil structure and have a great gardening season. Excellent idea to test your soil before planting anything. Where I live the soil is alkaline and clayey. When I planted a garden some years ago and the plants didn’t seem to be doing too well, I got a soil test kit. The result was a pH of 10(!) it took ten pounds of sulfur in the 12’x12’ plot that autumn to bring the pH to neutral by springtime. The crops planted that year were splendid.